Is it really already March? Wait, and I’m hearing some schools start Spring Break next week…say whaaaaaat?!? OK, It’s been over a month since settling back in on the mainland and I definitely feel it’s time to say “Aloha!” to Hawaii again. 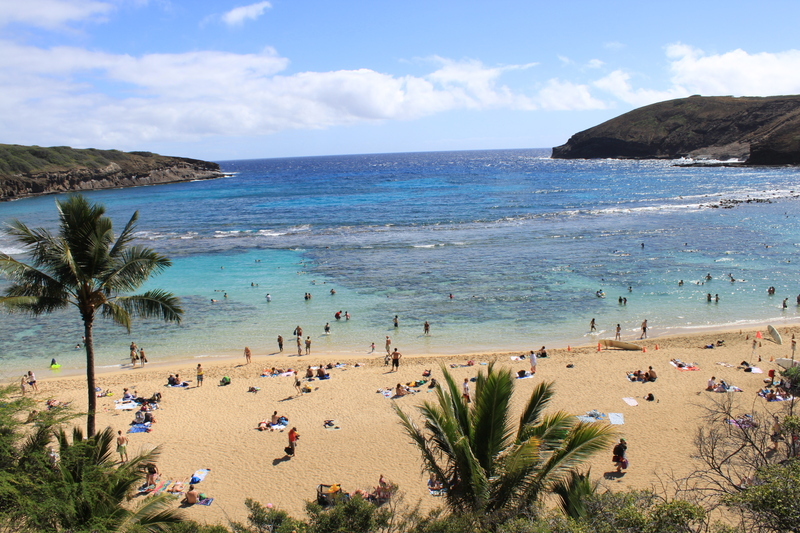 In previous posts I’ve covered my favorite part of the trip (Hanauma Bay) and where to stay (The Pink Palace) but I wanted to complete a more comprehensive post regarding Oahu, much like my guest blogger Kate provided. My issue is that every time I go to write about our Hawaiian holiday, each little facet of the trip turns into a thousand-word recollection. 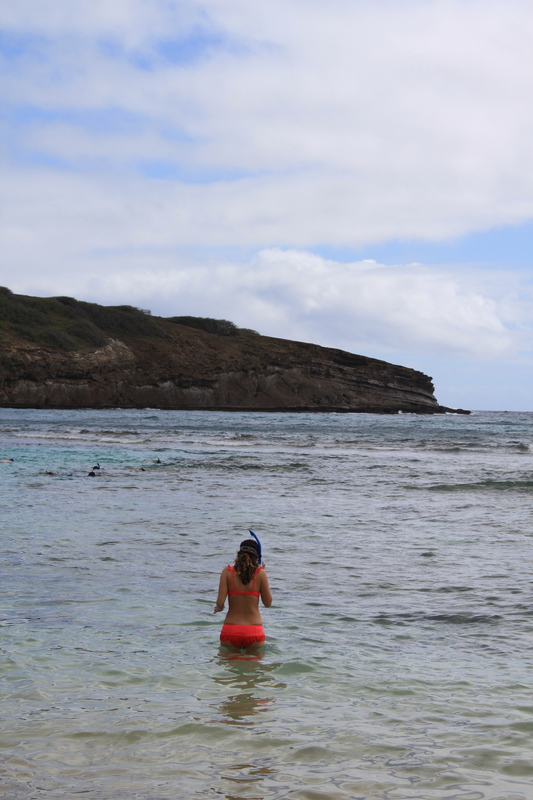 Oahu provided such vivid memories and rich experiences and thus, it’s left me LOTS to write about! Our little winter escape held a new adventure day-after-day and I can’t wait to go back and experience more! The Island As friends & family check-in to ask how the trip went, I find my answer always boils down to the notion that Oahu truly has it all. When conversing with folks who LOVE Hawaii and travel there annually, I’m used to hearing the specifics of what each island is known for…i.e., you go to the Big Island for this but to Maui for that; if you want to go whale watching you need this location, but the best beaches are here, the best snorkeling is there, and the lush gardens lie elsewhere still. 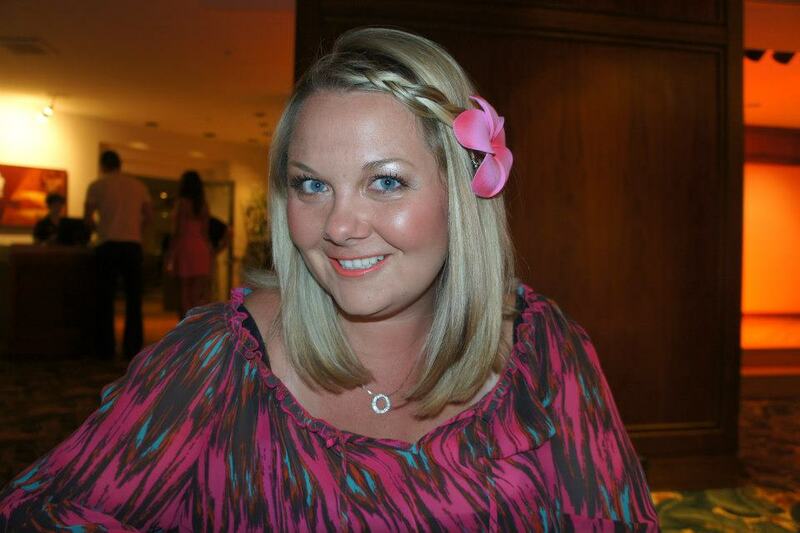 This was my very first trip to Hawaii, so all of it was new, fresh, and altogether wonderful to me. As I’m learning more about the Hawaiian Islands individually, I see what I’ve heard is true — each island has its own nickname, reputation, and notable features. 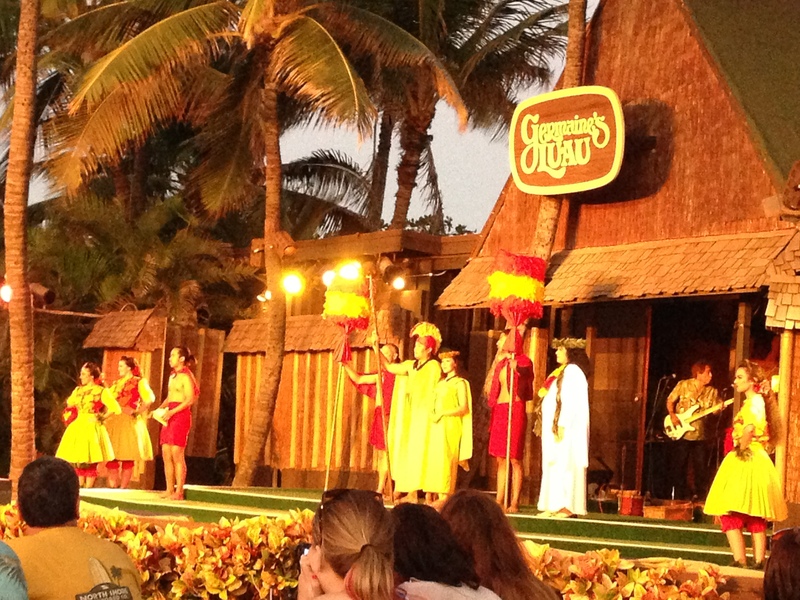 That being said, I found that Oahu has everything I could ask for in a genuine Hawaiian vacation. Snorkeling, hiking, beaches, surfing, Hawaiian culture, world-class dining, better-than-Beverly-Hills shopping…it’s ALL there. Beaches We spent most of time on Waikiki Beach, as that is where our hotel was located and where most of the action goes down. 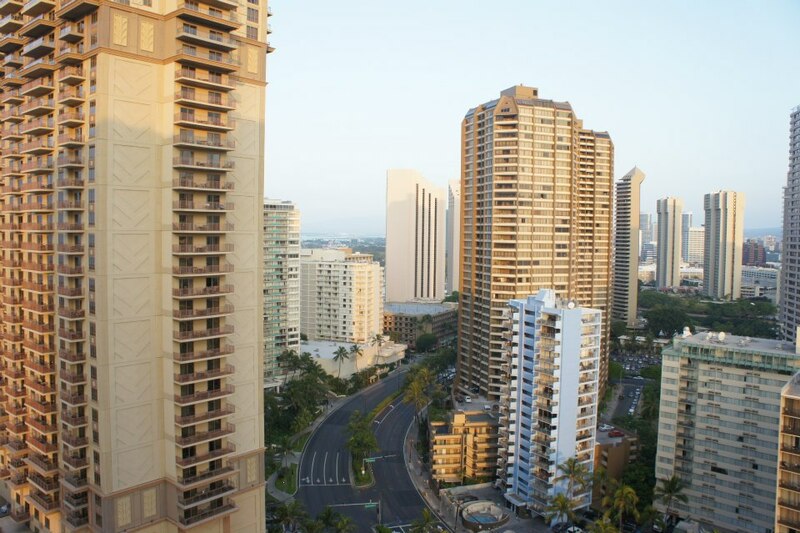 Although the hotel staff was quite welcoming upon check-in, I didn’t feel like I’d truly arrived in paradise until that first glimpse of Waikiki Beach. It’s quite beautiful with its glistening teal blue water, Diamond Head in the background, and sunsets that command adoration. Ah, how easy it is to vibe-out with the iconic Hawaiian beach scenes happening on Waikiki: the friendly & helpful “Waikiki Beach Boys,” the live Hawaiian music pouring out of a neighboring hotel, the shouts of Outrigger Canoe teams passing by, the surfer dudes checking out the girls in bikinis… No fancy excursions necessary — it was cool to just sit, do nothing, and soak up some sun on legendary Waikiki Beach. 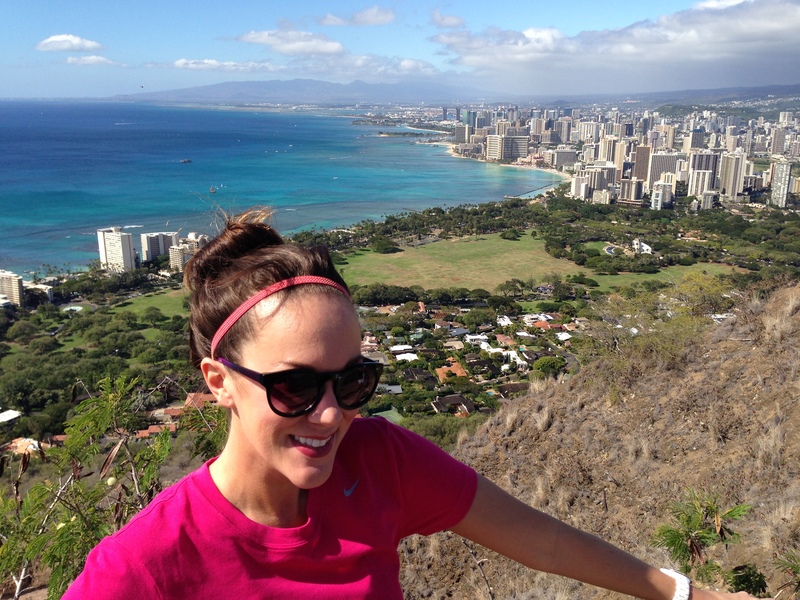 Now I know why the locals seem so chill — that easygoin’ Hawaiian attitude is contagious! One of my most relaxing afternoons was spent with my cousin, lying on our beach towels in the sand & catching up over Mai Tais. As for water activities, I particularly enjoyed Stand-up Paddleboarding — it’s a thing I’ve taken up at home and it was neat to experience one of my new favorite activities in a different environment. Of course, watching the surf along the North Shore MUST be addressed! We were there in January, so the waves were dangerously high and quite a spectacle to see crash so close to shore. We made the hour-ish drive up North one morning and it was worth it to witness the mighty power of the sea and the tallest waves I’ve ever encountered. The surfers were out pretty far, but at our stop at Waimea Bay, I got to gawk up-close at some of the gnarliest bodyboarding in the world. The epic waves at shorebreak blew my mind with their force…boogieboarders had to be expert-level (and carry a death-wish) to attempt those crashing lips and powerful pockets. We saw so many wipe-outs and a couple guys actually lose their boards, needing verbal coaching by the lifeguards on loudspeaker to navigate back ashore. Appropriately, only those surfers with years of experience and all the proper gear were allowed to touch the water that day. I actually got called-out by a lifeguard for standing too close to the waterline. Apparently, these waves have been known to swell unexpectedly, fiercely crashing down and pulling unsuspecting beachcombers out to sea. Scary, but exhilarating to watch from the sand! 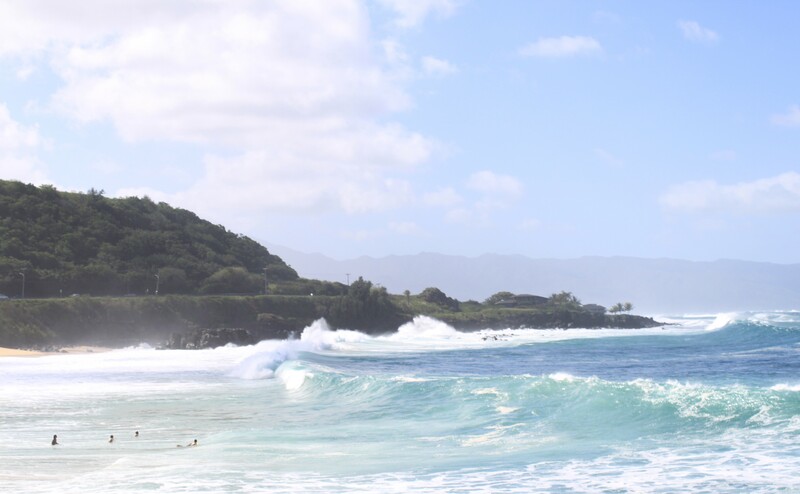 We swung by the Pipeline, Shark’s Cove, and Laniakea Beach as well. 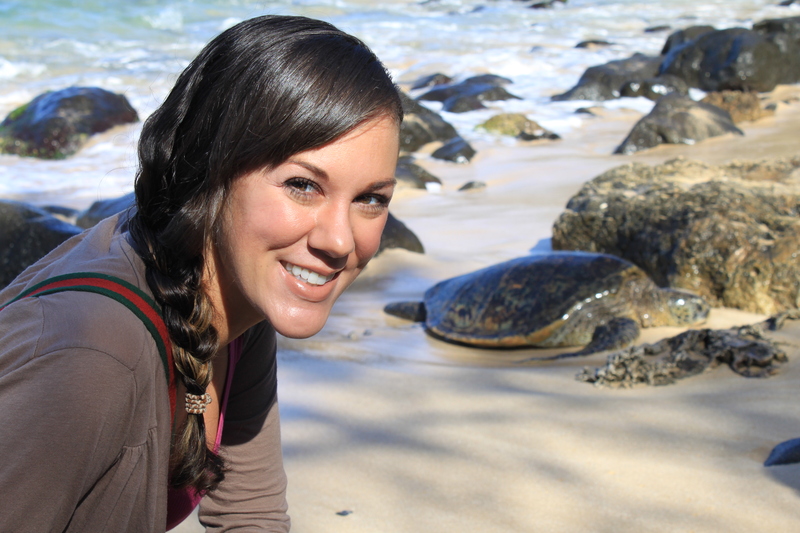 Laniakea Beach is also known as “Turtle Beach” because you can get super-close to endangered Hawaiian green sea turtles basking on the beach — great photo-op! To Do The stop at Waimea Bay led us to stumble upon lush Waimea Valley — an unexpected detour but worthy of the time and $15 pp admission. 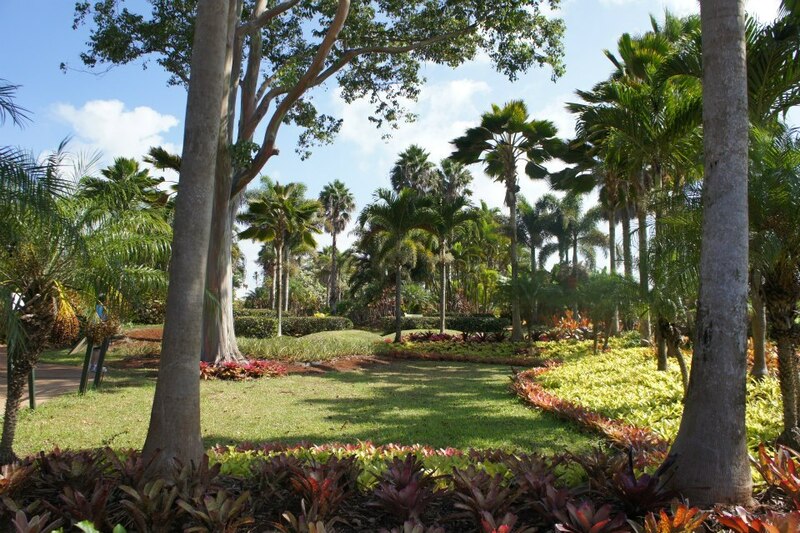 This nature preserve and botanical garden is like something out of prehistoric times. –It’s such a raw & lovely landscape, that’s the best way I can think of now to describe it. 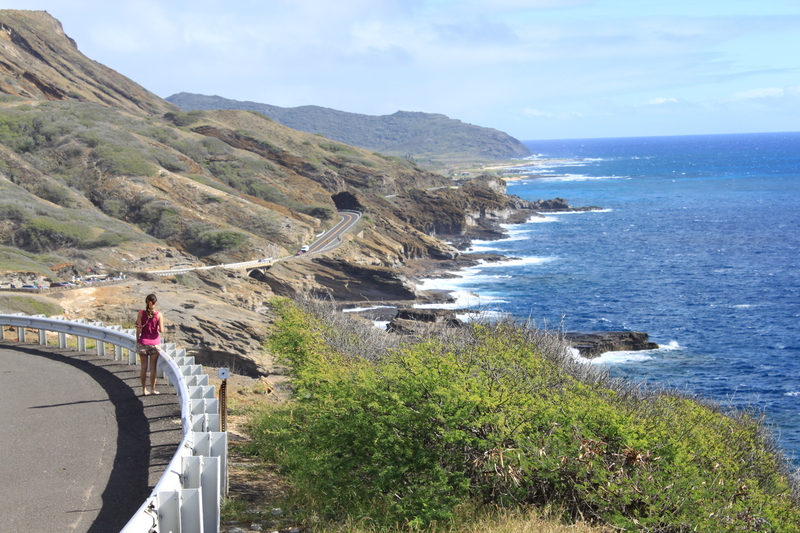 The area is an “ahupua’a” (Hawaiian Land Division that extends from the mountains to the sea) and it’s a breathtaking experience to walk along the along the sunlit trails’ changing environment: waterfall…to stream…to ocean. It’s home to endangered plants & animals, too — you’ll definitely get to chronicle flora & fauna you’ve never seen before. 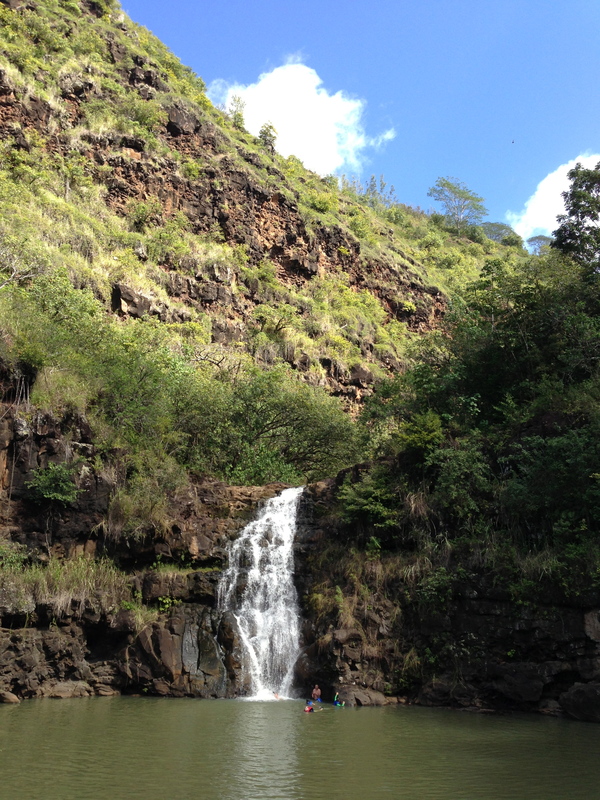 The best part of the park is reaching Waimea Falls, a 45-ft. waterfall at the end of our 2-mi hike through the rainforest. Being used the chilly Barton Springs here in Austin, I jumped right in and swam straight through the chilly water to the base of the waterfall. It was awesome! …To be continued. 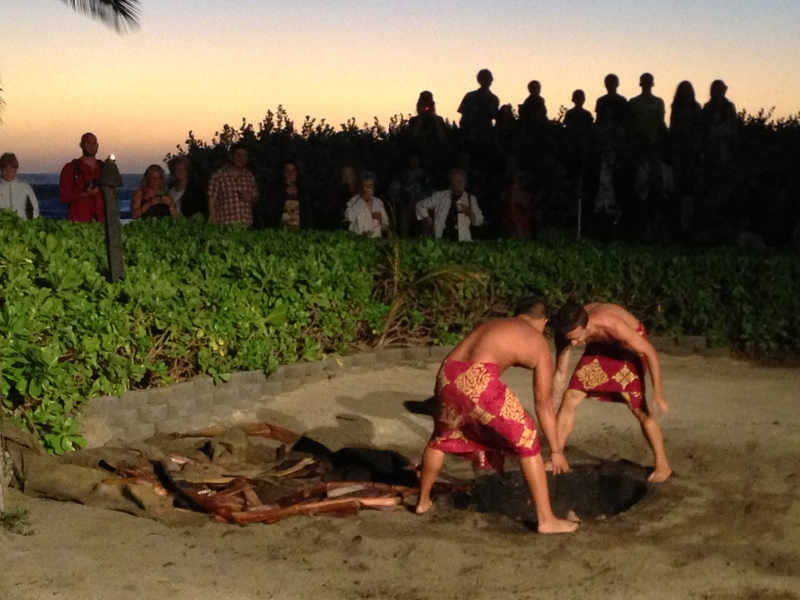 Week in Waikiki, part two, coming soon! In preparation for my very first trip to Hawaii, I reached out to an old friend who recently returned from her own O’ahu vacay. I was so impressed with her pictures & all that they managed to do & see in just a week — I could tell her trip was quite the well-planned getaway. I shouldn’t be surprised…Kate’s a well-seasoned traveler, both for business and pleasure. We initially met while working at a PR firm in Chicago, where it was basically our job to fly all around the country spreading the word about our client’s latest campaign. The experience turned our team –all bachelorettes fresh out of college & navigating our way into adulthood with big girl jobs in the city– into legit business travelers. Now, she’s married & the head of the PR division at a huge well-known company, she’s (of course) provided me with the most comprehensive & candid travel advisory. 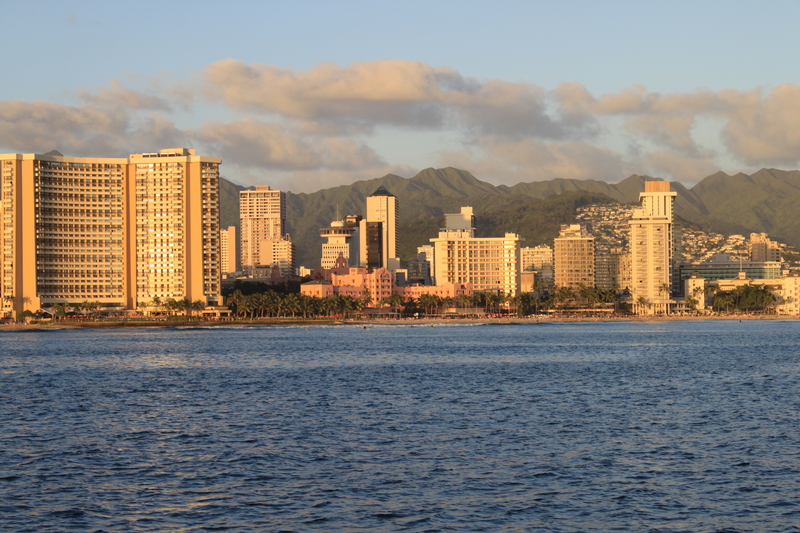 My husband and I are set to spend a week in Honolulu and our list of possible to-dos has covered the spectrum of everything from hang-gliding to whale-watching. I was getting a bit overwhelmed with all the possibilities a Hawaiian vacation has to offer –I mean, princess problems, right? Anyway, her thoughts on Honolulu were such a huge resource for me, that I just HAD to put them out there for any future island-hoppers who might come across this lil’ blog in planning their own vacation. Enjoy! * The island is a metropolis, it’s the only island with a skyline and is quite bustling. You’ll see just about everything in both English and Japanese. * We did just fine without a rental car, but you might want to consider having one if you want to do some excursions to remote beaches on your own. * There is a trolley that runs along the Waikiki strip and we never had an issue finding a cab. * If you have the chance to island hop to another island, even only for a day, I highly recommend Maui. We spent the last half of our trip there and wish we had spent more time on Maui – it’s absolutely breathtaking. Quite possibly the most beautiful beaches I’ve ever seen. 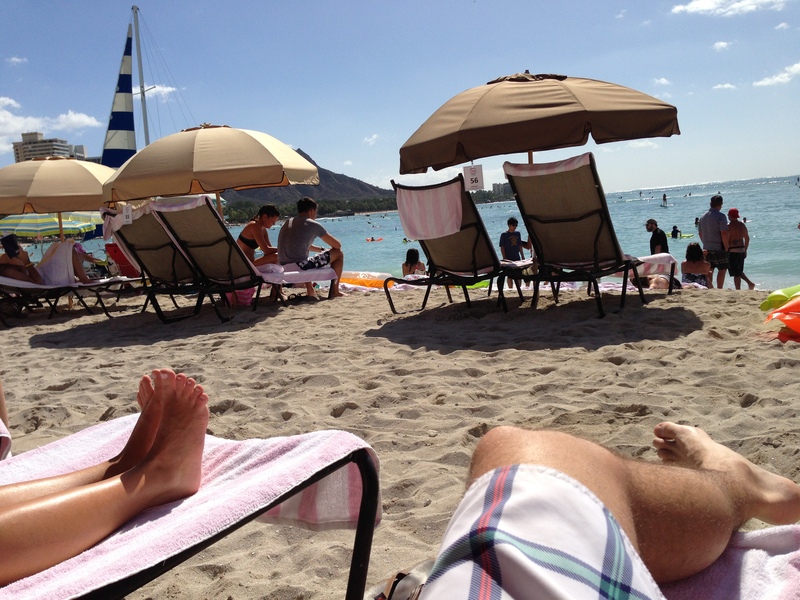 * Waikiki Beach is extremely crowded. 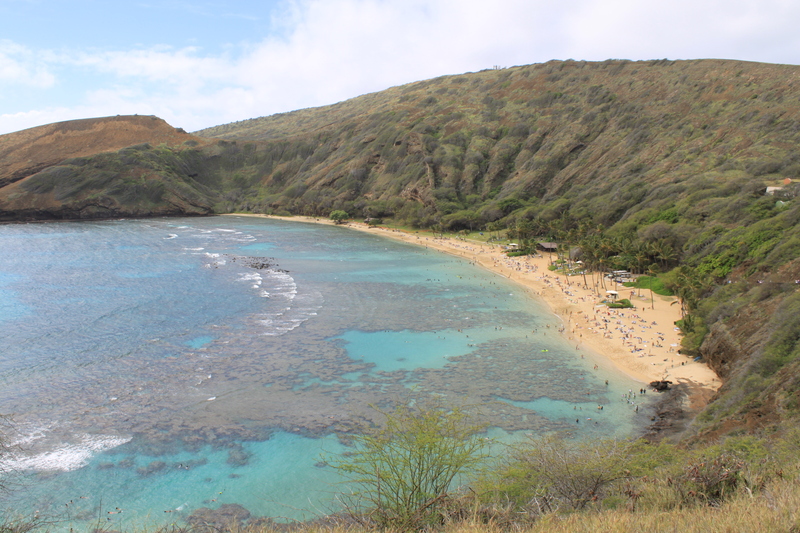 You may want to consider exploring less populated beaches like the Hanauma Bay Nature Preserve (said to have excellent snorkeling). 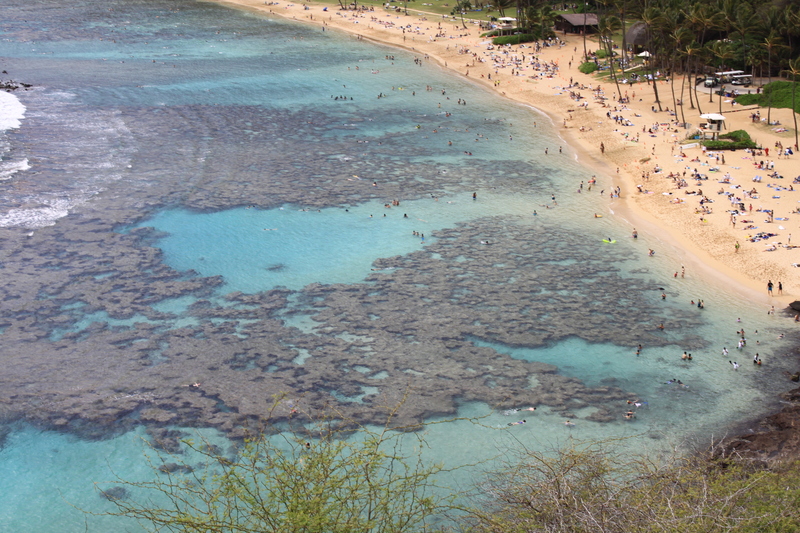 * The North Shore is a really cool spot to visit, but you likely won’t be able to swim there. The day we went, we saw waves hitting 20+ feet. It’s now entering surf season and really only pro surfers should attempt those waters, could be quite dangerous. Regardless, seeing waves that huge is totally cool. Fun fact: Jack Johnson is from the North Shore. * Whale season should be in full swing by now, they were expecting some 50,000 whales to be entering the Hawaiian beaches. If you have the opportunity to do whale watching, you totally should. 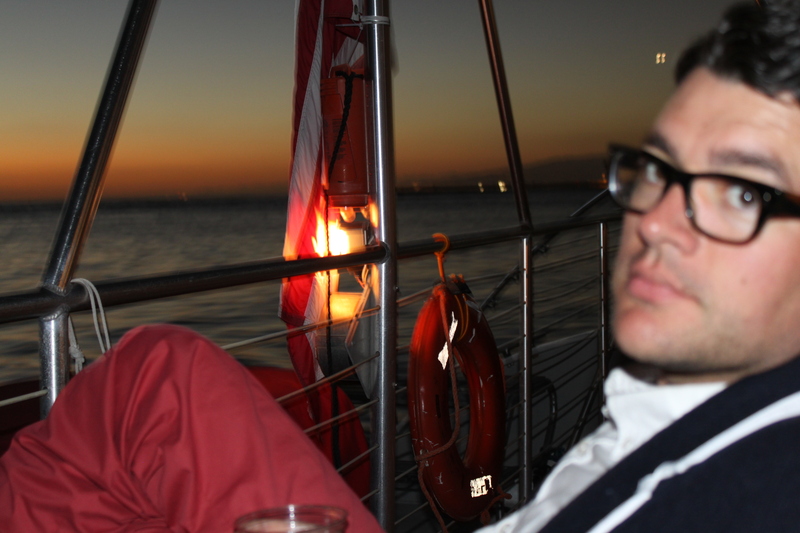 We just missed the whales by a few weeks and were totally bummed. By now parasailing should have shut down completely, they’re not allowed to operate when the whales are in. o Pearl Harbor. This is hands down a must-see and do. The trick is that you want to go very early, right when they open. If you go, be sure to check out the short film that is shown, as well as the museum. 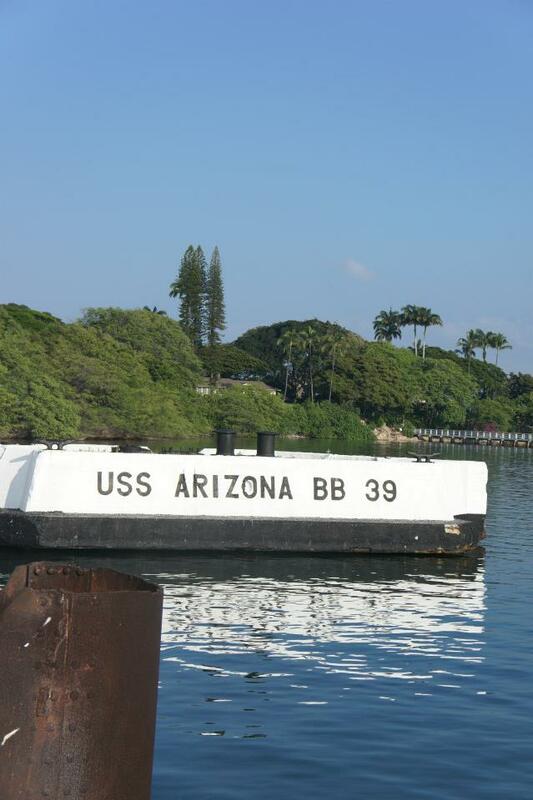 The tour we did took a boat out to the USS Arizona War Memorial, completely sobering. o The Dole Plantation. This place is a tourist-haven but was actually really fun. There are beautiful grounds where you can see all the varietals of pineapples grown, a huge shop and a little restaurant. If you go, you have to try the Dole Whip, topped with chocolate. It’s heavenly. Also, there is an amazing little farm stand situated just outside the plantation, on the grounds, that sells leis the most gorgeous flower leis for under $10. If you spritz your lei with water, it will last several days. 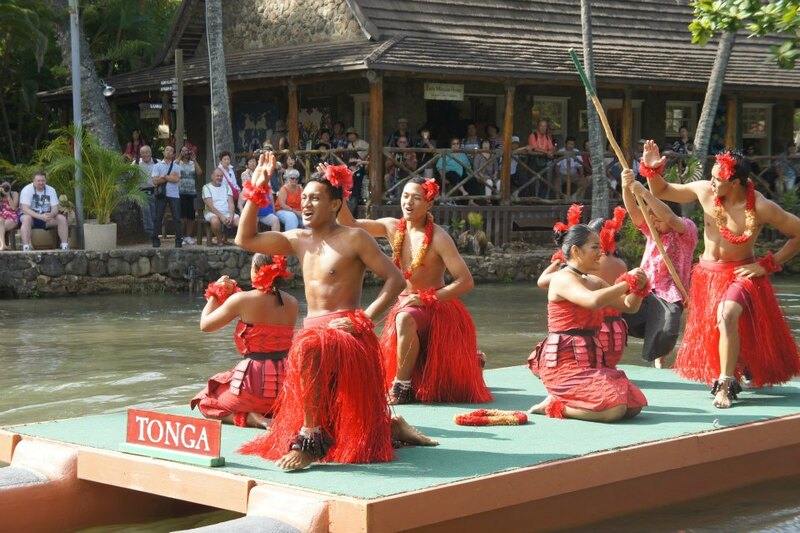 o The Polynesian Cultural Center. 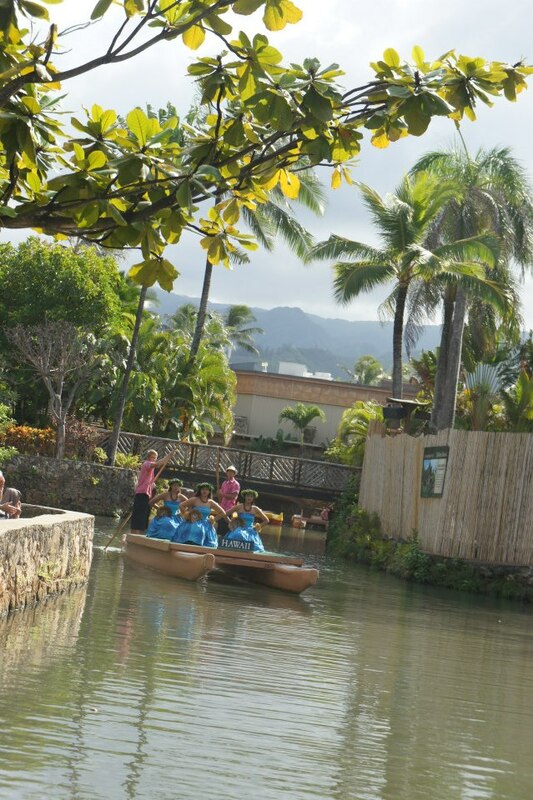 Set on probably 20+ acres of land, the center is all outdoors and has little villages inside it that share the history of the indigenous cultures that influenced the development of Hawaii. Our tour package included an authentic Hawaiian-style lunch, it was a buffet (unfortunately, I give the food a C+ at best). o Our tour guide also took us on a few detours at the end, showing us the site of a few movies that were filmed there (Jurassic Park, Lost, etc.) as well as a Chinese Buddhist Temple that is a replica of a historic monument in Asia. He also drove us by the hospital where President Obama was born (not to be confused with Kenya). 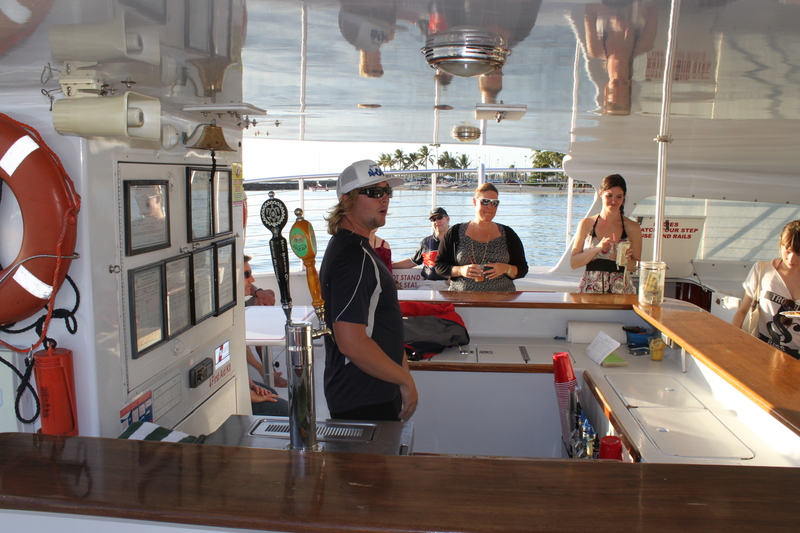 * My husband decided he wanted to scuba dive in Honolulu, even though he is not certified. If either of you have interest in this, there is a place called AquaZone that operates out of the Waikiki Beach Marriott. With only taking a 15 minute pool-side course and then 20 minutes practicing in the pool, he was able to go out on two dives. Since I didn’t want to scuba, I was able to accompany the small group to snorkel at a minimal fee. For me personally, this was fantastic because although water was deep (not ideal for snorkel), we bumped into a family of endangered sea turtles (the huge ones, 100+ pounds). I got to swim with them for about 30 minutes – and it was almost religious it was so cool. My husband really enjoyed the dives as well (about $200 for the day). * Shopping! 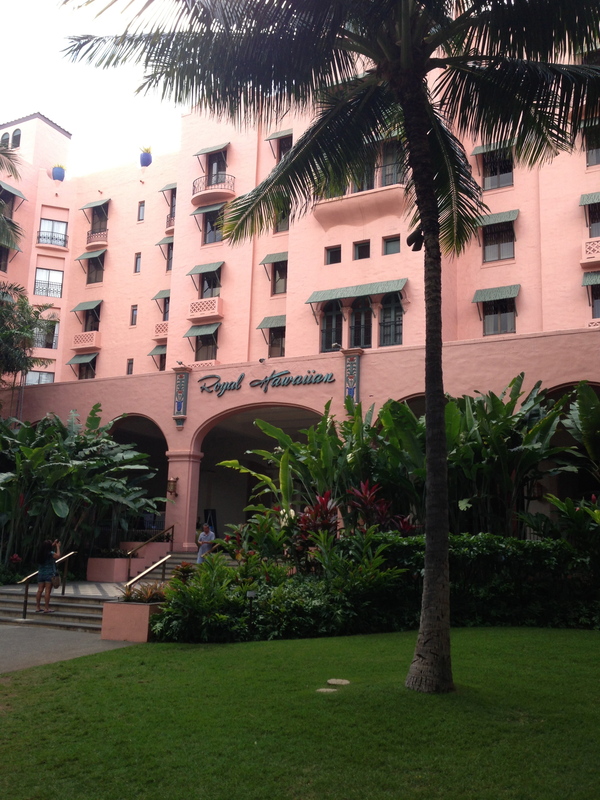 The Royal Hawaiian Shopping Center on Kalakaua is basically the Rodeo Drive of Honolulu – fabulous shops, including Tory Burch, a favorite of mine. * Spa! 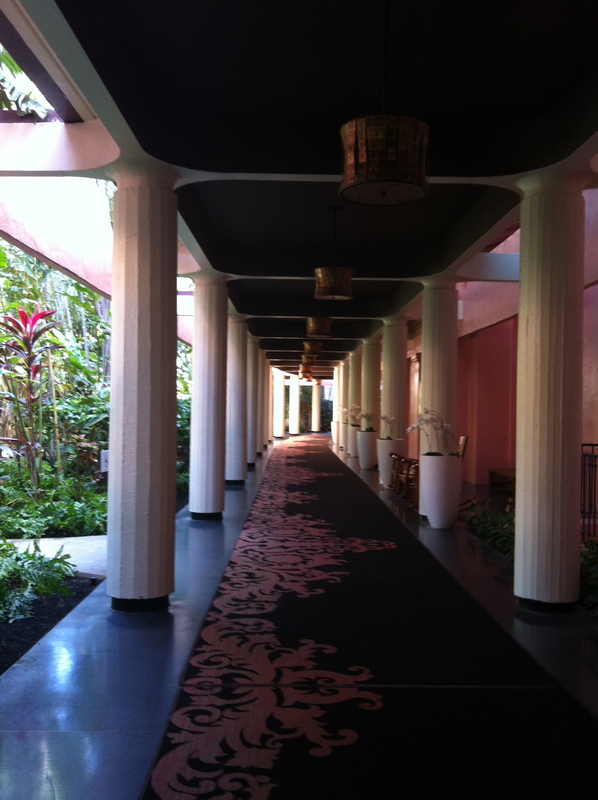 We went to the Mandara Spa in the Kalia Tower in Hilton Hawaiian Village since that’s where we were staying – absolutely wonderful. * Diamond Head. 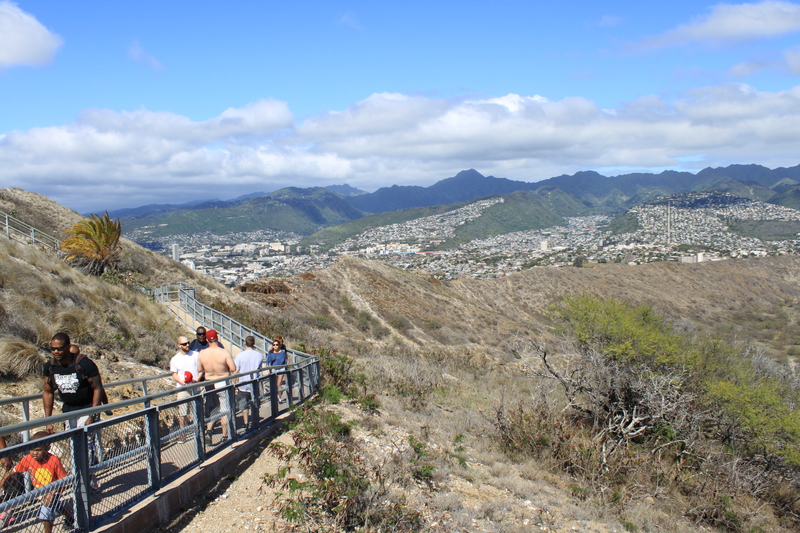 There is a really cool, short hike you can do up to the top of Diamond Head that has really awesome views of the island. Its under two miles both ways and I would recommend going early in the morning before it gets hot. * Hilton Hawaiian Village sets off fireworks every Friday night around 8pm – fun place to stop by for a drink and watch. * Alan Wong’s — amazing! Make reservations. 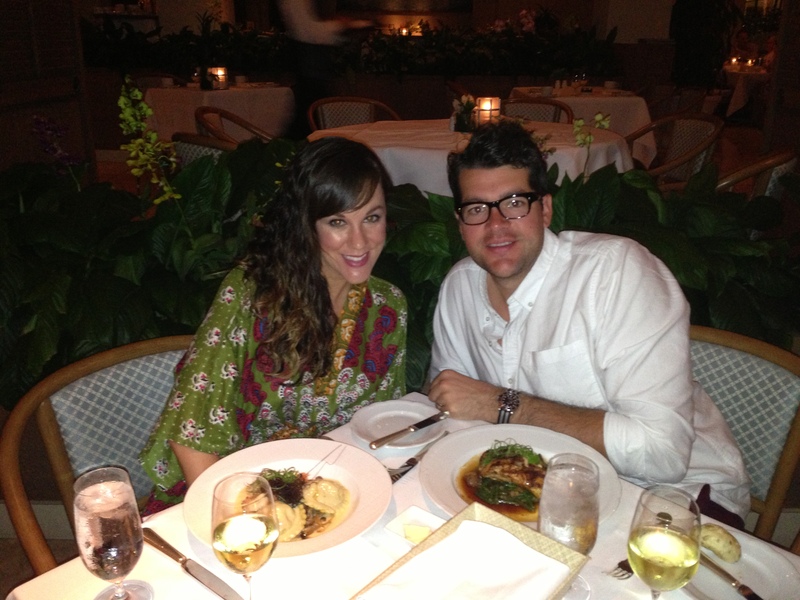 * SHOR American Seafood Grill at Hyatt Waikiki – request a seat on the open terrace – lovely. Also, make reservations. 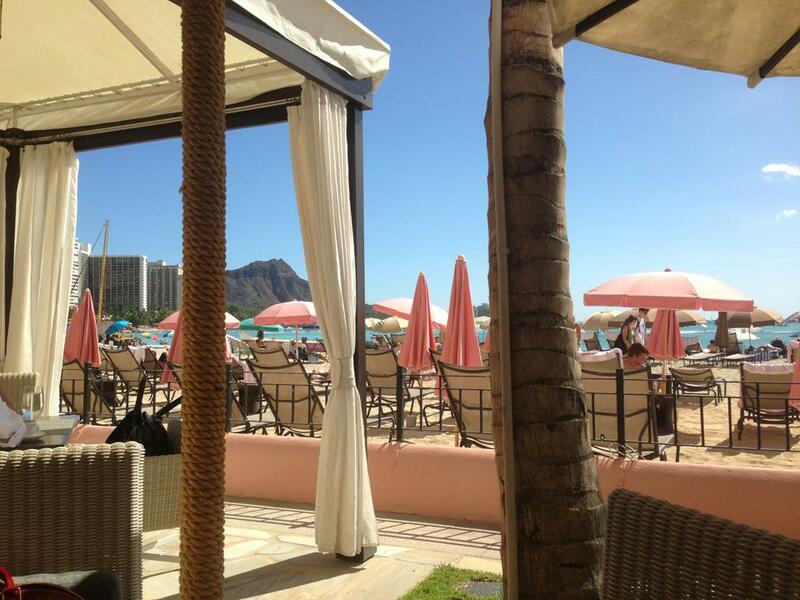 * Waikiki Beach Marriott poolside bar and grill was fantastic for lunch (Moana Terrace) – and you can stay and use the pool which is nice as well. * Other than that, we had a kitchen and cooked a lot to save money. There are tons of great Japanese and sushi restaurants you can explore as well. I hope this is helpful! We really enjoyed our time in Hawaii and are already trying to figure out when we can go back.